Poland, c.1850. 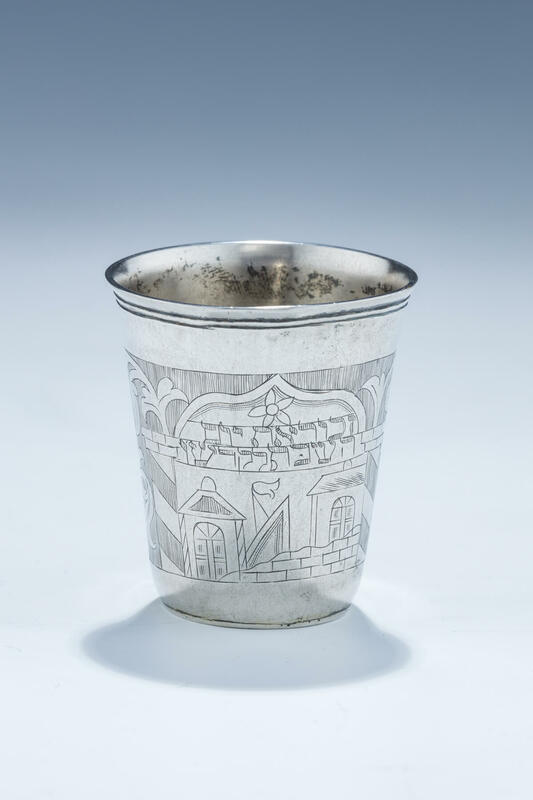 Decorated with swirling engravings and a synagogue or school. Engraved in hebrew with biblical commandment to remember the sabbath day in it’s holiness. 2.6” tall.